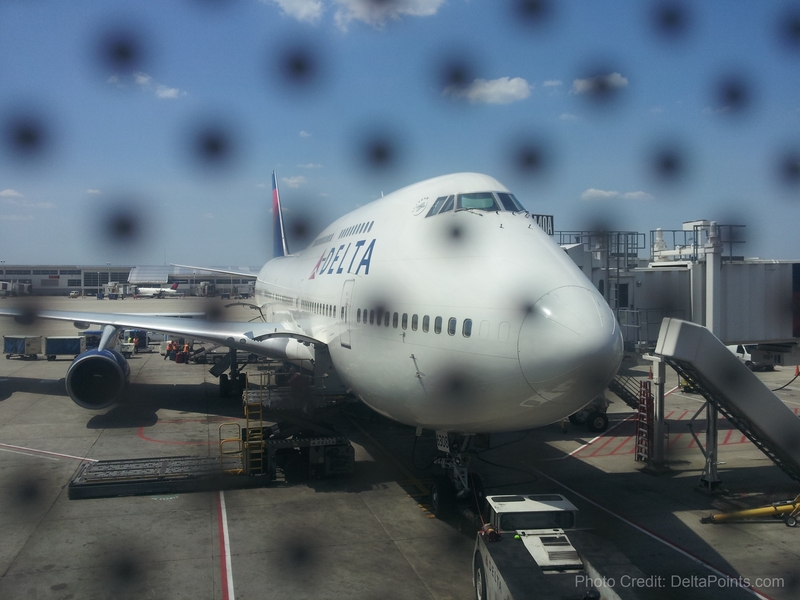 Are the days of flying Delta’s 747’s numbered? For so many of us who love to fly, the chance to get on a 747 is a day we look forward to. The bird is massive. We have fond memories from childhood and look forward to each flight. Personally, I think it is one of the most beautiful planes on the ground or in the sky and even more so with Delta paint on it. I love to sit upstairs and the view from up there is just the best. Plus having such a great business class cabin and mini feel just makes it all that much more special to me. However, if you will recall that when NWA and DELTA merged, Delta did not have any 747’s at that time. They did inherit the 16 that NWA had (owned and leased units) and still flies them today. 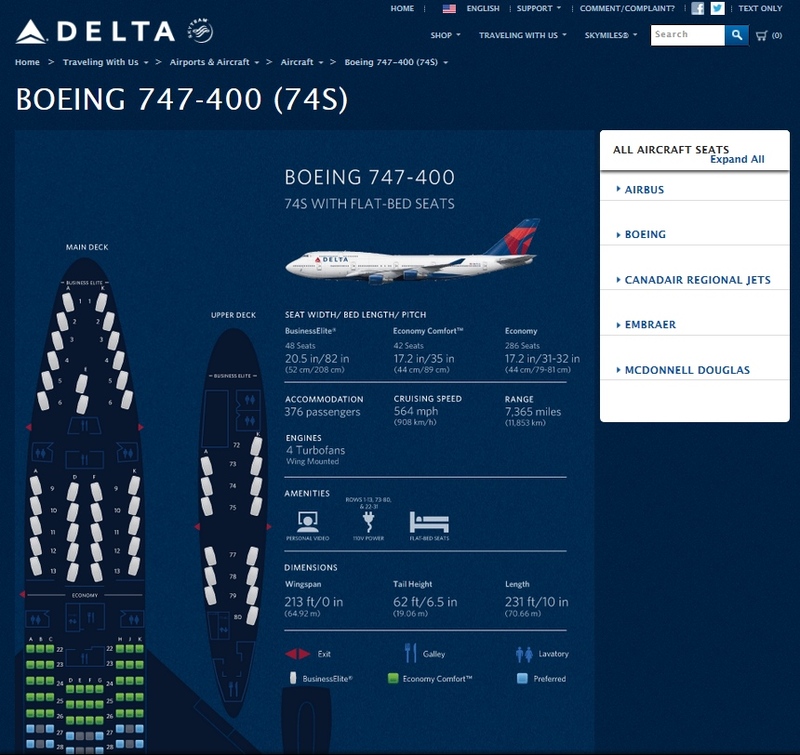 A few weeks back AJC.com had a piece about the future of the 747 and has quoted Delta people about plans for the future. Gas is such a large component of any flight and there is no denying the logic of being able to have more frequent & smaller fuel efficient flights to so many popular markets. I’m on a 747 Business Elite ATL-NRT (16+ hr flight! yay!) around December. Looking very much forward to it. I’m hoping to do as much 747 as I can before it’s phased away. Which routes do those 747s fly to? Flew one back in coach to Tokyo in the mid-80’s. What routes do they fly now? 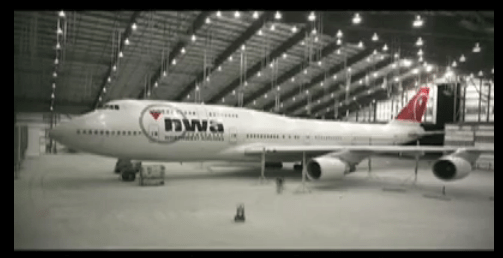 The DL 747s are very old – if my memory is correct, NWA was the launch customer for the 747-400 back in the late 80s or early 90s. These planes are mostly used on the routes to Asia. I’m sure as soon as DL figures out how to replace the capacity with more fuel efficient models, they’ll do it. I don’t see them buying the A380, it will more likely be twin-engine 777 models (possibly used…DL CEO seems to like buying old planes). I remember the original 747’s with the lounge upstairs. Flew on one from Amsterdam to NYC and as I recall there was a piano upstairs and a very small dance floor! The upstairs lounge did not open until we were in cruise flight and it was nice to see the hostesses “drop the chain” blocking the stairs so we could go up. Of course memory being what it is, I hope I am remembering accurately. I remember I flew from MSP to DTW in March 2001. I was flying NWA. I don’t recall but we were supposed to be on a different plane. They said they had to replace a 747 in DTW for a flight from DTW. I really liked the flight, it was so cool. This was back in the day when they left the cockpit open and I remember looking into the cockpit and watching them fly. I think I still have the pictures somewhere. (I miss those days pre Sept 2001). Flew my first one in June 2011 on DTW-AMS. It definitely needed the updates, but I didn’t mind too much as I slept for quite a bit after dinner. With the new interiors the 747 is the best and most fun a/c Delta has. I used to hate them and much preferred the 777. The upper business class cabin is superb. Now I don’t like the 777 business class because of the way the seats face each other. EC on the 747 is even bearable even thought the seats are a tad narrower than the 777. At NRT a few weeks ago, the captain let me sit in the left seat for a while during boarding. That was cool! 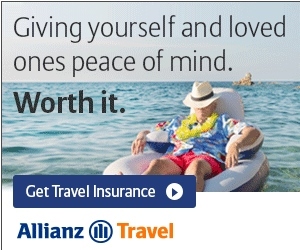 I wanted to give him kudos but was unsure how Delta would react.